According to American Peace Corps Volunteers: This is Bulgaria. 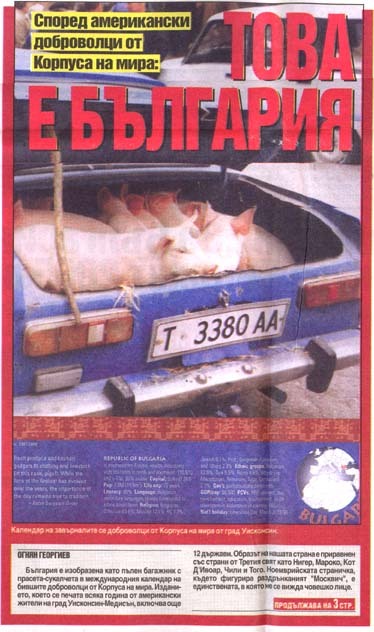 Bulgaria is presented as a trunk full of piglets in the International Calendar of the former Peace Corps volunteers. The issue, which is printed every year by American residents of the town of Wisconsin – Madison also includes 12 states. The image of Bulgaria is equalized with Third World States as Niger, Morocco, Cote d’ Ivoire, Chili and Togo. The November page, where there is a jalopy Moskvich, is the only one where a human face is not seen. The kind publishers had written on the back page of the issue the goal of the publishing, which has a four-year history. According to the authors the idea is with the help of the pictures to describe the habits of people and the charm of the country. On the Argentine month July is shown a guitar-player and on the Mongolian December there is an old lady drinking soup. There is a brief description under each picture. For example, the ten packed piglets were a part of a traditional market, organized on St. Dimitar’s day by the residents of the village of Kesarevo in honor of St. Dimitar, who was the patron of the village. The whole family gathers on this day and organizes feast with roasted lamb, shopska salad, bread and wine. 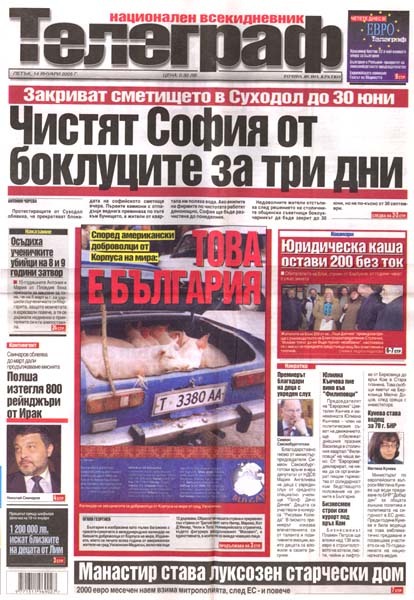 Peace Corps Bulgaria declared that they knew nothing about the calendar. About one hundred Americans come every year in Bulgaria as volunteers. They stay for two years in our country with the idea to share their knowledge. One hundred and seventy Yankees at the age between 24 and 73, most of them teachers of English language, work in our country now. Some of them stay in Bulgaria for another 12 months. 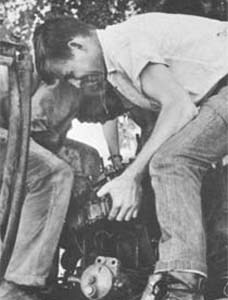 There are cases of marriages between Bulgarians and American volunteers.